Kenny Hill is one of the most accomplished, experienced and versatile classical guitar makers in the world today. He is recognized as a fine maker, player, teacher and innovator. He has worked as an individual luthier, in small workshops as well as in large factory settings, to bring fine guitars to thousands of players of all levels around the world. 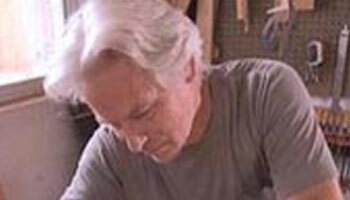 Kenny Hill began building guitars in the mid 1970’s, first in Santa Barbara, CA, then later in the Santa Cruz area. In 1978 he was awarded one of the first California Arts Council grants to an individual artist for his work as a guitar builder and guitarist. During that time he was instructor of guitar on the faculty at University of California, Santa Cruz, where he taught for 3 years. In 1995 he was invited to Paracho, Mexico as a writer for Acoustic Guitar magazine to cover a master class given by Jose Romanillos for the guitar makers of Paracho. Getting to know both the master Romanillos and the fine guitar makers of Paracho he began to think about what could be done if they had access to better materials, more information, and marketing to the US market. In 1996 he set up a workshop employing some of the fine craftsmen of Paracho, bringing in higher quality materials from the outside and developing a market for these guitars for the next 5 years. In 2006 he joined in a new partnership in China to set up a workshop and factory from the ground up with the commitment to make lower cost, high quality instruments for players who couldn’t afford his domestic instruments. That business to date has grown to a factory employing over 200 people and producing over 50,000 guitars per year. This is the factory and workshop that produces New World Guitars to Kenny’s design specifications and instruction. Kenny Hill has written many articles for various guitar publications, including Acoustic Guitar, Soundboard, and American Lutherie. He is an active member of the GFA, GAL, ASIA and NAMM, and has participated in each association’s expositions.